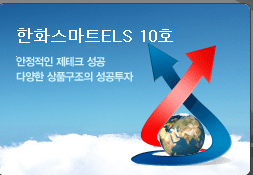 ELS (equity linked securities) sold to 437 investors for 6.8 billion won by Hanwha Securities on April 2008, dropped under the principal value on the maturity date, April 22, 2009. The stock price plummeted as a great bulk of the common stocks of SK (the underlying asset of the ELS) poured into the market. At that time, a suspicious rumor was raised that there had been an unfair trade concerning the Hanwha Smart ELS. According to a survey of the financial supervisory authorities, last December, Royal Bank of Canada (RBC), a back to back counterpart of the above mentioned fund, was reported to have pulled down the prices of the common stocks of SK by way of numerous sale orders until the date of maturity.\n\nIn January 7, 2010, Hannuri Law filed a class action for 3.2 billion won against RBC to the Seoul Central District Court, representing two investors who had invested in the Hanwha Smart ELS No.10. Copyrightⓒ 2010 HANNURI LAW. All right reserved.